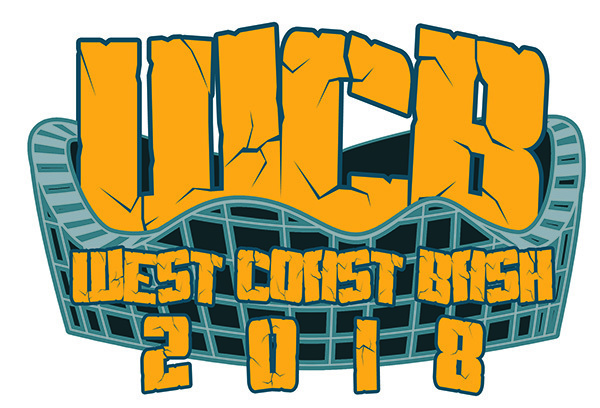 West Coast Bash 2018 - Knott's Berry Farm - Saturday Sept 8th - Theme Park Review Store - Roller Coaster & Theme Park Stuff! West Coast Bash is a theme park "fan event" that includes "Exclusive Ride Time" before and after the park's public operating hours without waiting in any lines as well as many other awesome perks! - FOUR Hours of Exclusive Ride Time Total!! - ERT on MORE to be announced soon! - One full meal featuring Knott's Famous Fried Chicken! - West Coast Bash Knott's T-Shirt INCLUDED! Pricing includes the Knott's WCB event T-Shirt!